Kim Porter covers Runway magazine’s Spring 2013 issue. Diddy’s baby mama talks modeling, motherhood and understanding the power of the brand with the magazine. With an undeniable gift for acting, singing and style paired with her natural, stunning beauty, this debutante queen of Georgia grew to become royalty of high fashion and entertainment. Kim Porter now part model, part mom, part mega-star is the epitome of a woman who can do it all, and do it perfectly. This woman has a ferocious ability to not only take on the entertainment industry but completely re-define it, operating by a higher calling. Inspired by the things she loves most in this world, her children and her family, Kim has successfully set new standards by infusing her passion to keep it real into every single little thing she puts her finger on giving it the golden touch. With a new children’s clothing line coming out soon, running her own business and a home with music mogul Sean Diddy Combs, I’m surprised she even had time to sit down with me, to say the least even sit down at all because she she’s too busy making magic and blazing trails for moms everywhere. This is on newsstands on April 4th. Celebs hit up The Art of Elysium’s 3rd Annual Black Tie Charity Gala “Heaven” in Beverly Hills, CA yesterday. 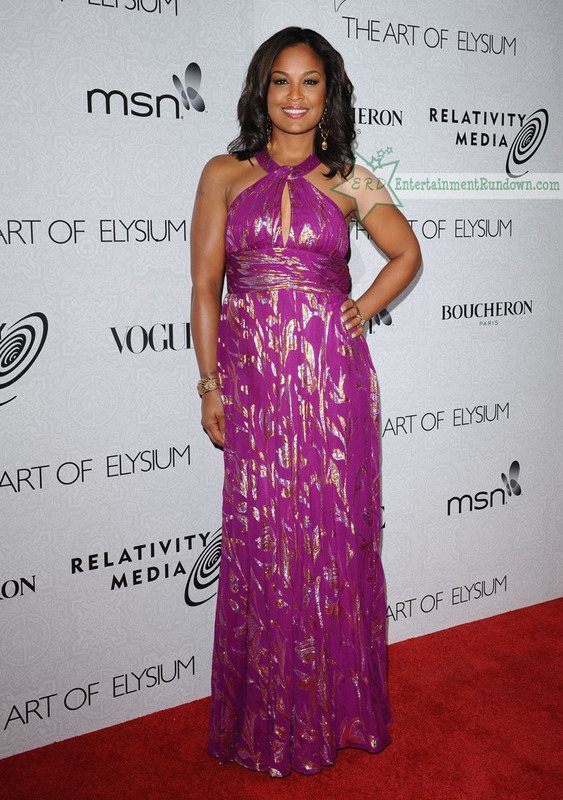 Laila Ali looked gorgeous in a purple and gold gown. 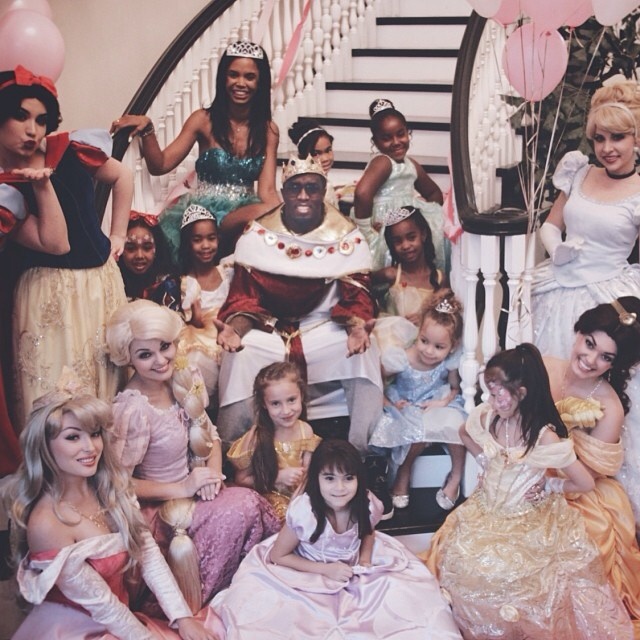 Kim Porter and her twins, D’Lila Star and Jessie James from her relationship with Sean ‘P. Diddy’ Combs looks around at the ‘Boom Boom Room’ baby event at the Century Plaza Hotel in Los Angeles. Dwayne “The Rock” Johnson departs Los Angeles International Airport with his daughter, Simone Alexandra.